“ACTION is really a blessing to me, first they trained me to become a masseuse and now a nail artist” –Nancy Campos, one of the graduates of the Nail Art Training. Both training program on massage therapy and nail art were offered for free, by ACTION Inc. to the selected beneficiaries from Quezon City. 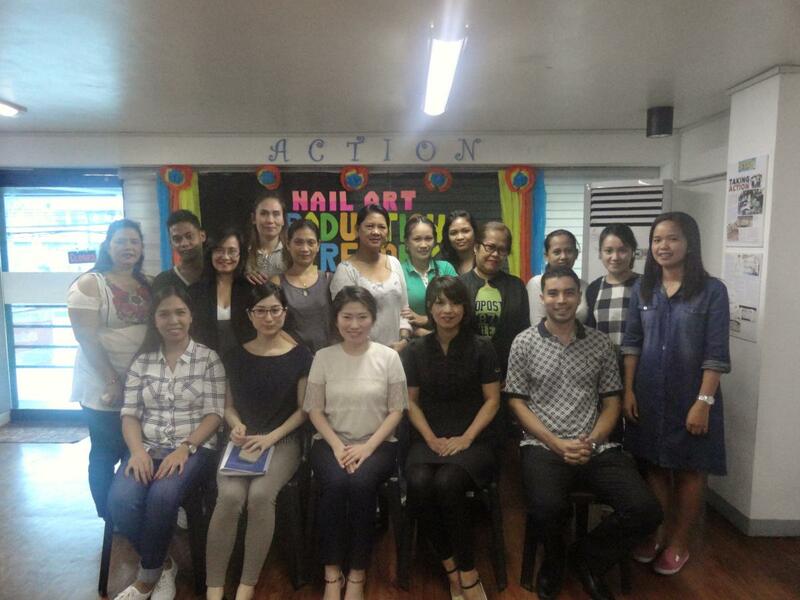 This Nail Art Training was piloted in Quezon City in partnership with REJOB, a human resource firm facilitating employment of Health and Wellness professionals to various salons and spa in Japan. 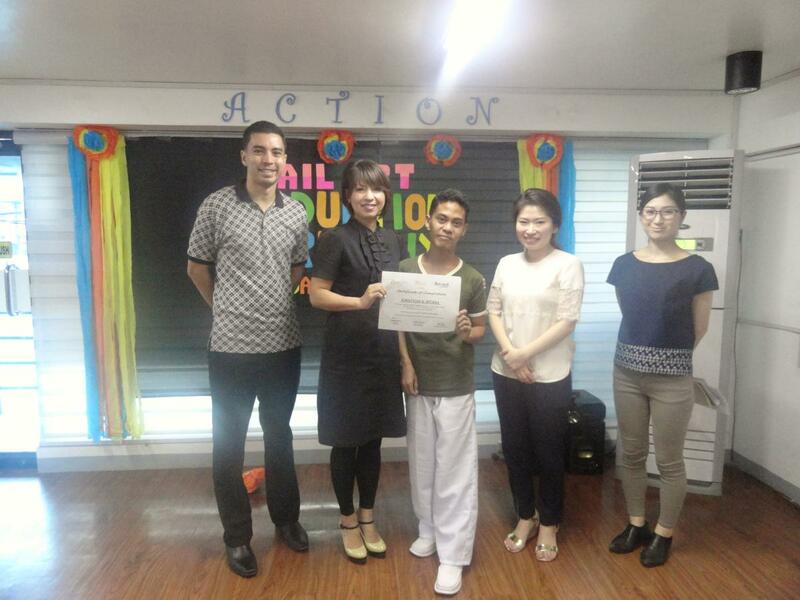 Two staff from REJOB were present during the training namely Ms. Miho Ueda, and Ms. Ayumi Nagae. There were eleven (11) trainees who have participated in the training on February 10 to 20, 2017. Ms. Naomi Yamaguchi from EYELA Philippines was the Japanese Instructor for the Nail Art Training. The coverage of the training was the discussion on basic theory of nails and the actual demonstration on the proper care of nails like pre-manicure procedure, cutting style and hand massage. This Nail Art Training Project is different from the typical training of Filipino manicure/pedicure practices. The final evaluation and Graduation Ceremony for the first batch of the Nail Art Training was held on February 20, 2017. However, only three (3) among the eleven (11) trainees passed the actual evaluation of the Japanese trainer. Those who failed in the final evaluation were given a catch-up class on March 13, 2017. An Advanced Nail Art Training for those who passed the evaluation will be scheduled soon, and the deserving trainees will be selected to be hired in one of the elite nail spas in Metro Manila. Recruitment for the 2nd Batch of the Nail Art Training is now on going. For inquiries, please contact these numbers 0946-1365-512 or 376-9498 and look for Ms. Janel Banadera.